Richmond Palladium, February 1, 1916, Hoosier State Chronicles. There are some new additions to Hoosier State Chronicles. 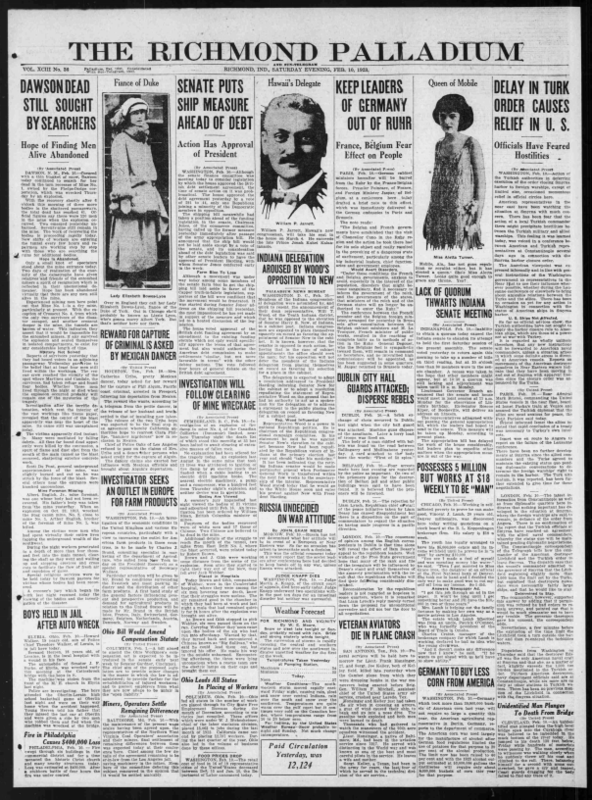 The Richmond Daily Palladium, from 1916-1923, is now available, encompassing 1093 issues and over 10,000 pages! Richmond Palladium, February 10, 1923, Hoosier State Chronicles. 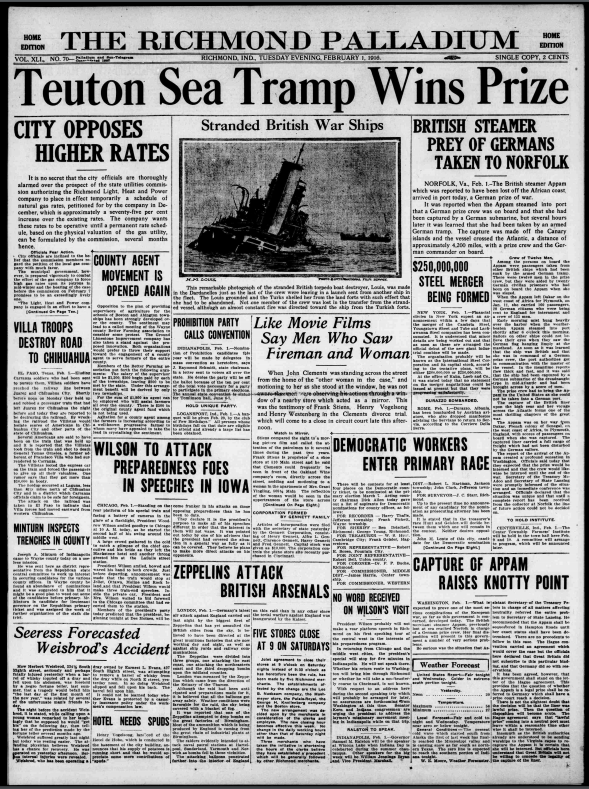 From these issues, learn more about the Indiana’s impact on World War I and the early days of the roaring twenties. More issues will be added in the coming weeks.